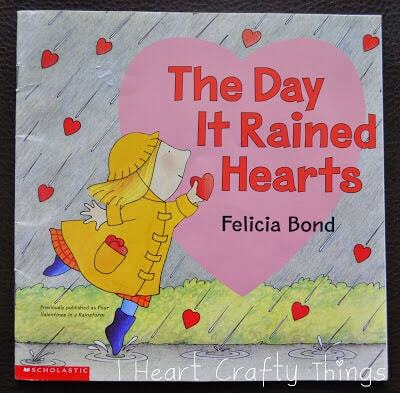 In my imaginary world it would definitely rain hearts just like it did in my favorite Valentines Day book The Day It Rained Hearts. 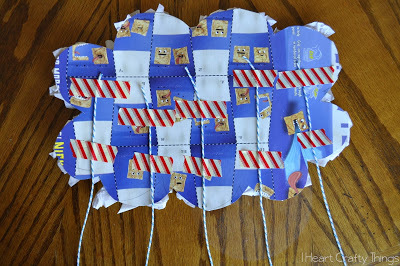 My daughter (age 3) and I have loved reading it this week and we made this fun craft reminiscent of the story. 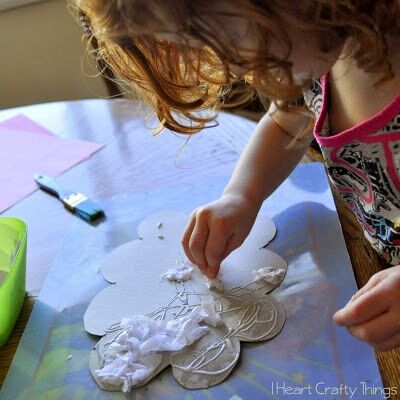 My idea to make this craft originated from a rain craft I saw at Learning 4 Kids. 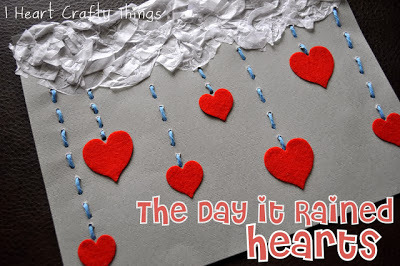 Purchase The Day it Rained Hearts on Amazon! 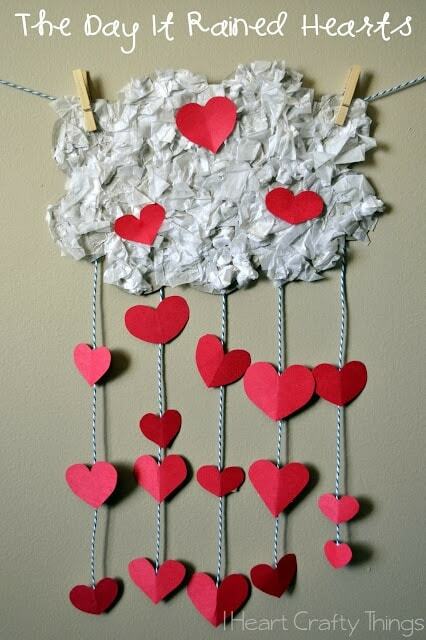 covered in the crumpled tissue paper squares. 2. Next tape five strands of string (any type of string or yarn will do) to the back of the cloud. They were probably about 12″ long each. For the next step you will need to leave the cloud face down like this. 3. 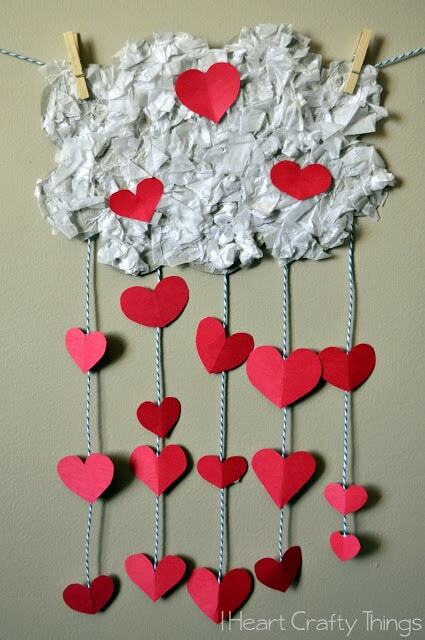 While my daughter was busy adding tissue paper to her cloud I was cutting hearts out of red construction paper. I made them varying sizes just as the book described. 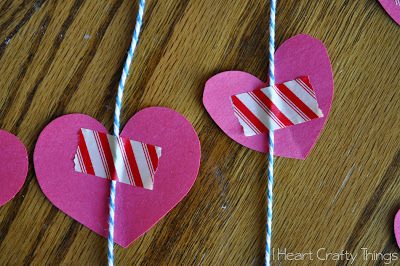 My daughter took a heart, placed it underneath the string and placed a piece of tape over the string to hold the heart in place. This ended up being awesome fine motor practice!! 4. 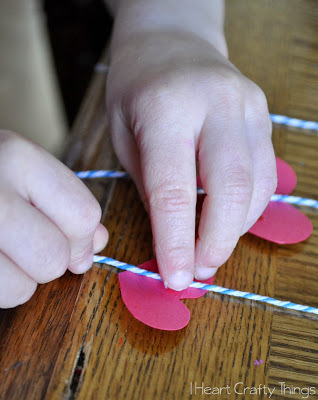 After you are finished taping hearts to all of the different strings, turn it over to reveal your cloud raining hearts. 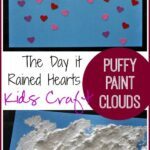 My daughter glued a couple hearts onto the cloud as well. We are so pleased with how it turned out! Make sure to check out our project from last year that went along with this book! I just adore this book and can't wait to read it this year again with Aarya! 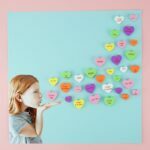 But I LOVE this activity as well, we are definitely going to do this! Pinning it. This is sooo cute! 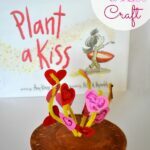 I love this book and can't wait to complement the book with this darling project! Thanks for sharing your creativity!